1. Fever :- Fever is one of the earliest symptom of blood cancer. It is not a common fever. In this a body feels fatigue for a long time. This fever is uneven which heals and come back again and again. If there is fever which shows abnormality then you should report to the doctor to sort out the reason. 2. Unexplained weight loss :- If there is an unexplained weight loss without any indication or reason then it may indicate blood cancer. So you must go for a whole body scan to detect blood cancer. 3. Chills :- Sometimes a person may feel like chilling in normal temperature. This is also a symptom of blood cancer. 4. 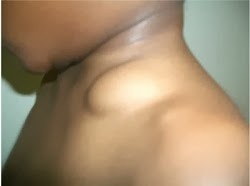 Swelling of lymph nodes :- If there is swelling in the lymph nodes then it may be the blood cancer. Lymph nodes that swell may or may not be painless. If there is any indication of swelling of lymph nodes then its a alarm to go to the doctor to find out the reason. 6. Night sweating :- Sweating unreasonably is a symptom of blood cancer. If you experience sweats at night without reason or without doing any work then it is time to worry and you must visit a doctor for bady checkup to know the exact cause. 7. Itching :- In some cases a person is in a abnormal state due to itching on body without any reason. This also indicates blood cancer. If all these signs and symptoms are taken in mind at earlier stages of blood cancer then we can stop that cancer to become fatal.